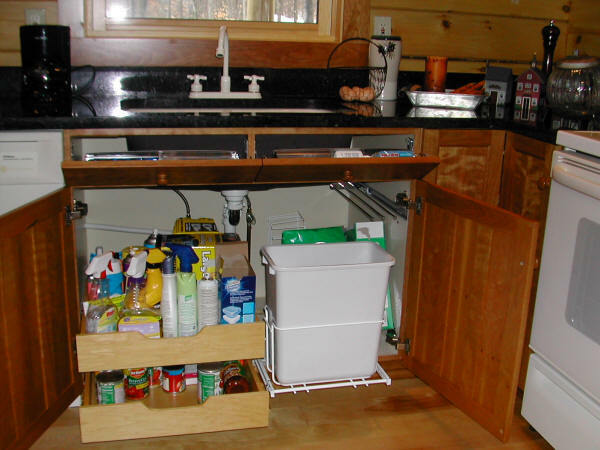 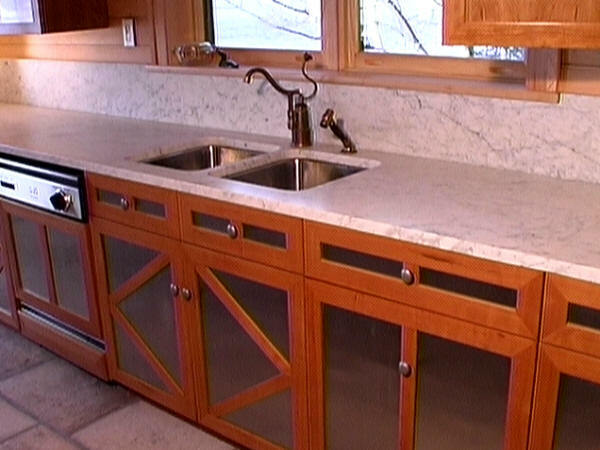 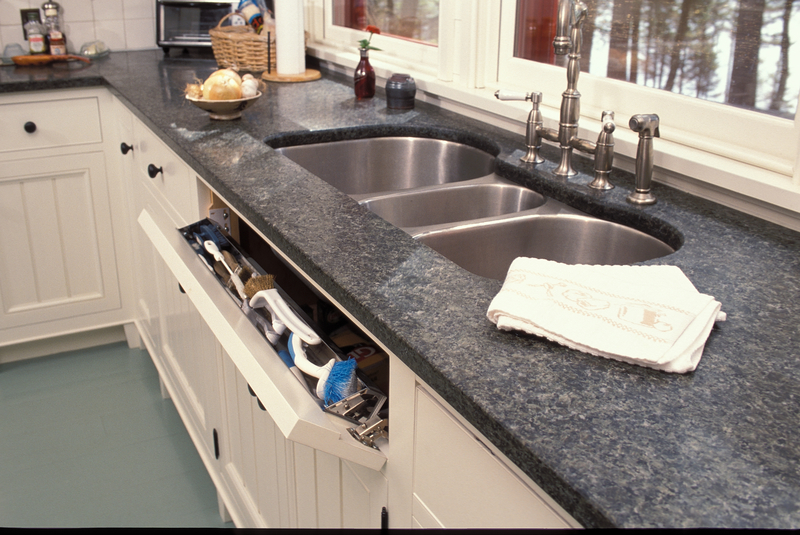 The sink base is often the center of cleaning supplies for the kitchen. 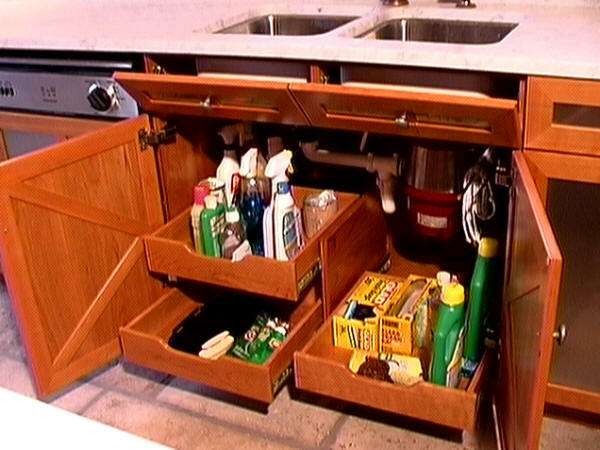 We organize this space by adding drawers. 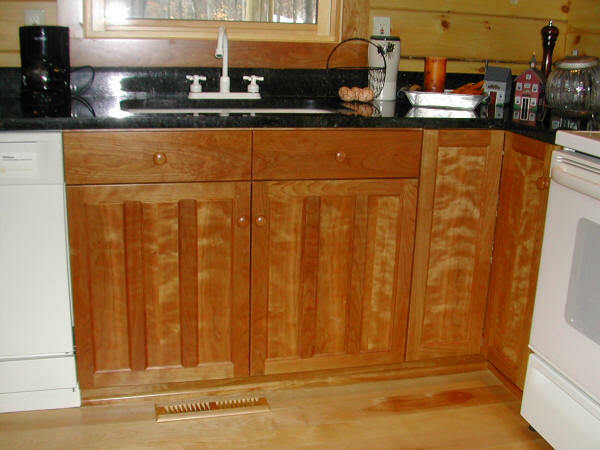 These drawers, as well as the partition supporting them, are easily removed for installation of plumbing. 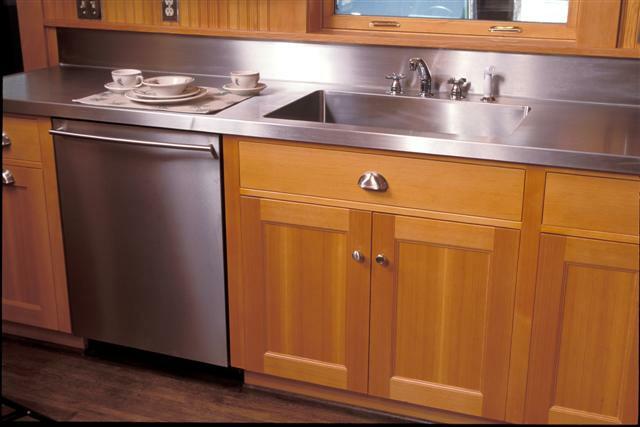 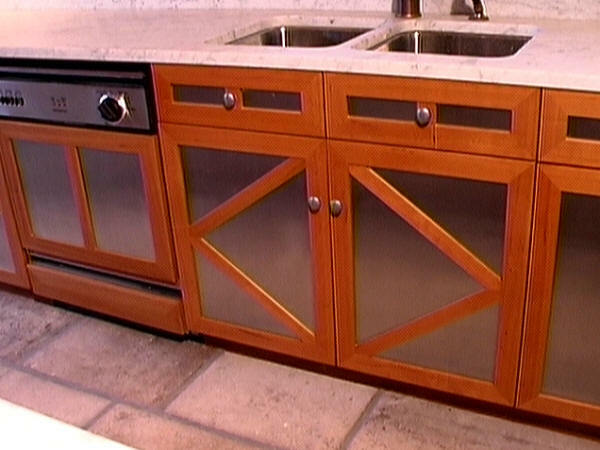 As you can see in the first photo, this design even accommodates a garbage disposal.